A SPARQL 1.1 Graph Store HTTP Protocol implementation for RDF and Topic Maps. The protocol allows creation of graphs, deletion of graphs and updating graphs and discovery of graphs (through the service description). The protocol is rather generic, so it’s usable for Topic Maps as well. More about the protocol here. 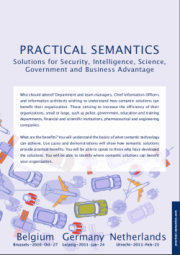 Topic Maps is the only formal semantic model which is optimized for humans, not for computers. Applications and web portals based on Topic Maps are easy to use, without limitations for flexibility and creativity.